Our all-inclusive Caribbean holiday resorts are located on four beautiful, authentic islands: Antigua, Barbados, St. Lucia and The Grenadines. These amazing locations each offer something unique, and all contain the genuine tropical atmosphere which you won’t find anywhere else in the world. Although you can soak up the sun and relax on a pristine Caribbean beach, our luxury resorts offer enough activities to ensure you are fully entertained in style during your stay. 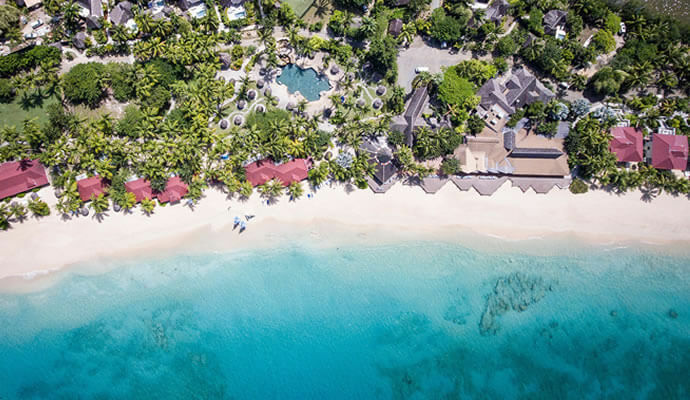 For many holidaymakers, the appeal of a Caribbean island resort lies in escaping the chaotic nature of day-to-day life and relaxing on white, deserted sandy beaches. As well as this, we offer quality spa services with some of the best massage and body treatments in the region. With breath-taking surroundings, you won’t find anything which comes close to this experience. Tour our beautiful island escapes during the day and experience Caribbean paradise on earth. At night, take advantage of our all-inclusive holiday resorts and sample our amazing dining options. Your all-inclusive luxury travel package includes breakfast, lunch and dinner – all of which are delicious recreations of Caribbean island life. Indulge yourself with our high-quality cuisine and enjoy this unique experience with family and friends. Fully experiencing the Caribbean means taking the plunge into its crystal-clear waters. Our exclusive travel resorts offer a range of amazing, all-inclusive activities such as windsurfing, kayaking, and snorkelling. Also, for something truly unforgettable during your stay, we will happily arrange scuba diving or boating activities through our reputable partners. Even on an amazing family holiday such as this, we realise that parents and kids can benefit from some alone time occasionally. If you wish to leave your kids in trained professional hands, our experienced staff have created a tailored Caribbean activity holiday for your kids which has activities to suit everyone from babies to teenagers. With excursions to sports tournaments, we’re certain your loved ones will be more than satisfied with their tailored experiences and event packages. For more information about what our luxury Caribbean holiday resorts offer, visit our Things to do in the Caribbean section of the website. Elite Island Resorts has one of the highest repeat guest rates of all the Caribbean island resorts and it’s not hard to see why. We provide an authentic island experience, beautiful beaches, and employ warm as well as friendly staff. 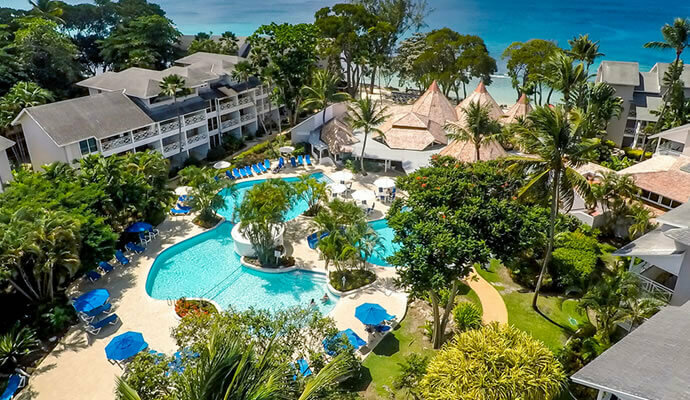 Our all-inclusive UK to Caribbean holiday packages contain everything you need to have the holiday of your dreams so don’t delay – enquire about experiencing this little slice of paradise yourself. © 2019 Elite Island Resorts Caribbean.